The PST Recovery Tool repairs the damaged PST files and recovers all the deleted Outlook PST emails with all the attachments and saves the mailbox in the new PST file, MSG, HTML, EML, and Office 365. Recovers highly corrupted/damaged Outlook PST data files. Restores large PST file, that is, up-to 215 GB. Enables instant preview of the recovered/damaged Outlook files after scanning. Restores the permanently deleted Outlook PST emails, messages, images, folders-sub-folders, meeting notes, tasks, contacts, attachments, journals, and etc. Recovers all Meta properties such as To, Cc, Bcc, Subject, From, Date, Time, and etc. Restores emails which are transferred to new healthy Outlook PST file. Repairs highly encrypted and password protected Outlook PST files. 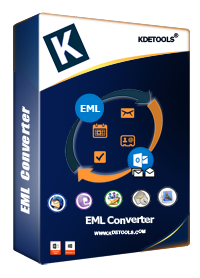 Exports repaired PST emails in various formats such as new PST, MBOX, RTF, HTML, MSG, EML, vCard, TXT, and etc. Migrates recovered PST file directly in Office 365 (Available for Corporate, Technician and Enterprise) . MS Outlook is supported by all the latest and updated version of Outlook 2016, 2013, 2010, 2007, 2003, 2002, 2000, 98 and 97. *Demo Version has a limitation of converting first 30 items per folder. "KDETOOLS, a well known name now! It has gained lots of fame in just the span of few years in the online market world. Company created many trusted and superiorly working tools in the field of Data Recovery, Email Migration, Cloud Computing, etc." "I would love to comment on PST Recovery tool by KDETools because this tool helped me a lot to recover &amp; save my corrupt Outlook data into healthy PST file format so that I am again able to work my important official data." My I.T. L'équipe du département a essayé ScanPST.exe à plusieurs reprises mais n'a pas réussi à récupérer un seul courriel. Mais, la solution de récupération PST de KDE TOOLS a tout fait en douceur. Je suis heureux d'utiliser cet outil.. I had a problem with 6.3/GB Outlook .pst file in MS Outlook 2013. It was big trouble for me but this KDE Outlook Recovery tool saved my data and this tool helping me. Dies ist sehr einfach zu verwenden KDETOOLS Outlook Recovery, sehr effektiv in Handles Restore Outlook pst korrupte Datei und viele weitere Outlook-Problem. The Outlook PST Recovery tool repairs all the mailbox components within the files such as emails, calendar, attachments, folders, contacts, journals, notes, and etc. and exports them into new usable Outlook PST. The software deeply scans the recoverable data within the severely corrupted Outlook PST files. The Outlook PST Recovery tool scans the corrupt PST file items and restores the 'Inbox' or emptied from the Deleted Email folders. This tool provides you instant "Preview" of the recovered deleted /corrupt Outlook PST files with all the attachments. The Outlook Recovery software enables the users to take a preview of the recoverable Outlook emails with attachments after scanning. You can take a preview of all the Outlook email items, which are selected. The PST recovery software recovers all the Meta properties of Outlook emails such as To, Cc, Bcc and Subject, From, Date, Time, attachments, contacts, and etc. The tool restores all the meta items into a new PST file. The PST Recovery software repairs the damaged Outlook PST files irrespective of its size and the level of damage. The tool can recover the oversized PST files without losing any data. The PST Recovery tool exports the PST emails in Outlook PST to MBOX and other multiple formats such as EML, MSG, HTML, RTF, HTML, and TXT, etc. The user can export the PST email in multiple formats depending on the requirement. What are the limitations in the demo version of the PST Recovery Tool? The Demo version has only one restriction as the user can recover 30 PST items to another file format. If the user wants to convert more than 30 files, then they need to buy the full version. What should I do if I face any problem during or after Restoring Outlook PST File? How to discover the calendar entries in the Microsoft Outlook after repairing the Outlook PST process? Import your repaired PST into Outlook. Start Outlook and press "Ctrl+Shift+F"
This will open the 'Find Message' window. From the 'Look For' section, choose 'Calendar'. Click on 'Browse' and choose the repaired PST file that's being imported into Outlook. Click on'Find Now'. During the recovery method, software package has shown the preview of the calendar entries, and then you'll undoubtedly find the Calendar here. Would it be advisable for me to spare the fixed PST documents at system area (NAS/SAN/Cloud/WAN)? It is suggested to avoid saving the repaired pst file at the network location. Storing PST file on the network could cause corruption in a pst file.